Working with a diverse range of organizations across every aspect of financial PR, we believe in strategic campaigns that meet business needs and have a real measurable impact. Financial PR has never been more important. 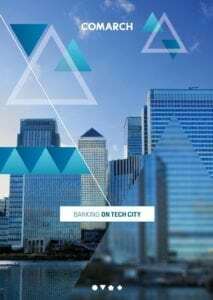 With the boom in FinTech, and success stories from the likes of Braintree, Kickstarter and Square, the market has never been more exciting and is underpinned by huge investments and start-up incubators. Driven by changing consumer behaviour, emerging technologies and a raft of new regulation, services and structures are being rewritten in every corner of finance. CCgroup understands how to help technology organizations influence financial services audiences and the importance of PR campaigns that generate sales leads, raise awareness and enable clients to achieve commercial success in a fast moving industry. We believe in targeted and strategic financial PR campaigns – from capital markets to payments technology. CCgroup has more than 10 years of experience working with organizations that specialise in risk management, trading and derivatives technology, as well as asset management and enterprise data management, prepaid cards, payments providers and acquirers. CCgroup is committed to driving innovation and promoting the ground-breaking technology that is changing the shape of the financial market. Defining what a company stands for, the value in its technology and its unique approach to the market are an incredibly important first step in any financial PR campaign. In conjunction with a client’s key executives, we build a messaging matrix around the organization’s objectives, competitors, products and importantly, its vision for the future. These messages form the foundation for all content and PR activity. CCgroup is driven by its clients’ commercial and business objectives. Working with a diverse range of organizations across every aspect of financial PR, we believe in strategic campaigns that meet business needs and have a real measurable impact on a company’s bottom line.